Blue Origin has also joined leading space companies and agencies to support the creation of The Moon Race, a non-profit working to launch a competition for teams looking for a ride to the lunar surface. 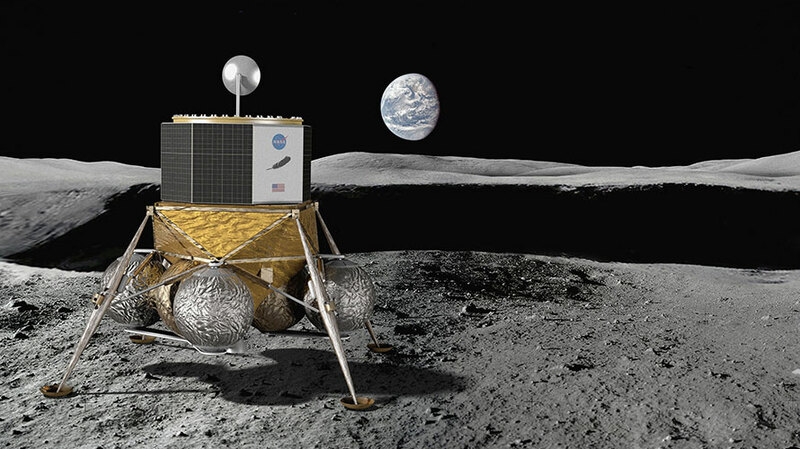 On October 2nd, Blue Origin also signed a letter of intent with German aerospace companies OHB and MT Aerospace to collaborate on a future Blue Moon mission to the lunar surface. Blue Moon looks much like the Apollo era “LEM”. Without Humans on board, all mass of the equip for takeoff, and life support can be replaced by one way cargo. Great job Mr. Bezos, and Blue Moon team! Designing in reuse of parts of the Blue Moon, to build later vehicles, fuel storage, and power generation for following vehicles may be a good idea. Also transponders for the next vehicles to home in on. HD video cameras for the fans back home, would not go unappreciated. You know how much can be learned from takeoff, and landing video. And it looks awesome!